Airlines and pilots will both benefit from the Common Type Rating pilot training on the A350 XWB and A330 jetliners, further extending Airbus’ concept of flight operational commonality between its fly-by-wire aircraft families. The new regulatory approval means that pilots who are qualified and current on the A330 can already commence their preparations to take the A350 XWB’s controls by undergoing “differences training” only. Enabling a significant reduction of costs for airlines, the differences training does not necessitate the use of a ground-based full-flight-simulator, and allows a 65 percent reduction in pilot training time – to only eight days – versus a standard transition course. Additionally, it facilitates the creation of a pool of pilots who can fly both the A330 and A350 XWB in a single-fleet flying (SFF) concept for increased scheduling flexibility and mobility. A notable factor in achieving the A350 XWB/A330 Common Type Rating is the similarity in handling qualities between the two fly-by-wire jetliners, as recently verified by pilots representing the European and U.S. civil aviation authorities who flew both aircraft. 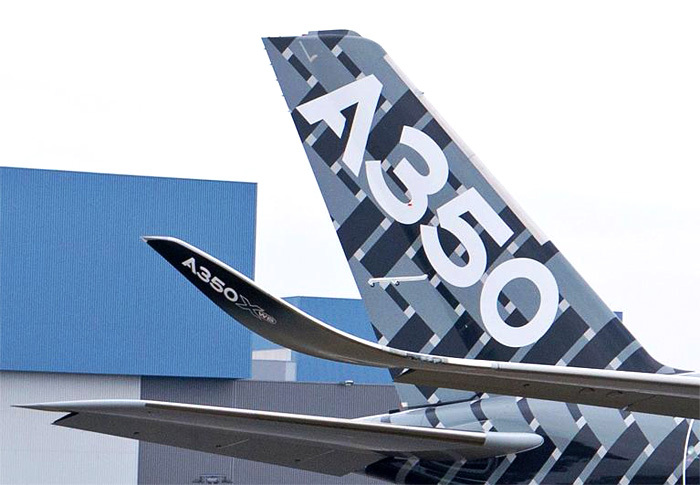 With A350 XWB deliveries to begin before the end of 2014, an increasing number of pilots will be trained to fly the aircraft – many of whom are already approved to operate A330 jetliners.